This is my all-time favorite drink. I seriously love it and could drink it everyday. That would require me drinking an entire bottle of wine, and I just can't do that (well maybe if I tried, but that is not in Zack's best interest, hehe). I wanted to share this with you because I love serving it at parties and I really think it is amazing. Dessert will be back tomorrow. For now, relax and pour yourself a glass! Note: I usually double the recipe below for a party. 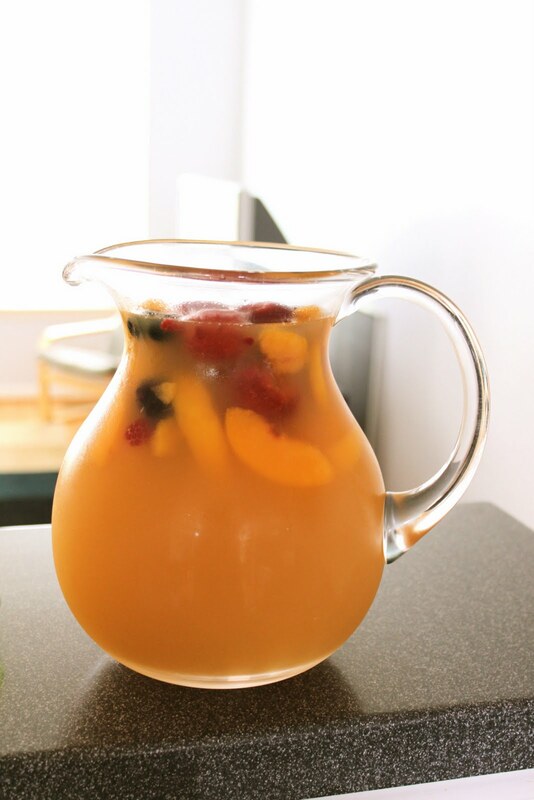 Pour all ingredients in a pitcher, stir, serve. Note: I use frozen fruit to help keep the drink cold. Feel free to use fresh, but then you may want to keep this in the fridge to serve chilled.